Solid case. decent cable management. Only issue was getting front face off when adding optical drive. Have a pair of needle nose pliers handy! Came with 4 fans! but the Blue LED fan in the front didn't give off enough light so I moved it to the top. 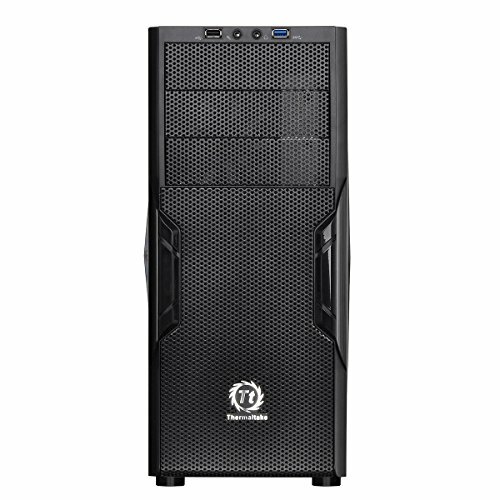 The Thermaltake Versa H22 is sweet! It's very inexpensive, comes with a fan and has a window panel so I can see everything. I plan on buying a few Red LED strips next week to give it all a red glow. 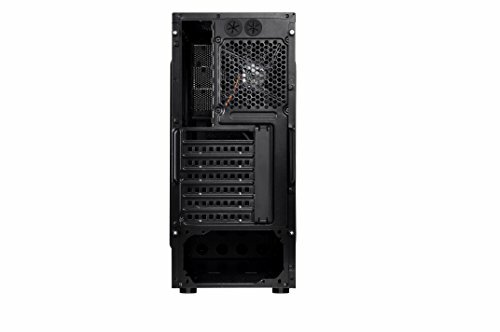 Only one fan placement which is 120mm, the back is a little small, the drive cages cant be removed, I cant access the back of my micro atx board mount when I open the back panel, and the video card mount plates in the back can only be removed once and not put back on. Nice case, looks good. I just wish there was a little more room behind the mother board tray. This case was a bit tricky to work with. 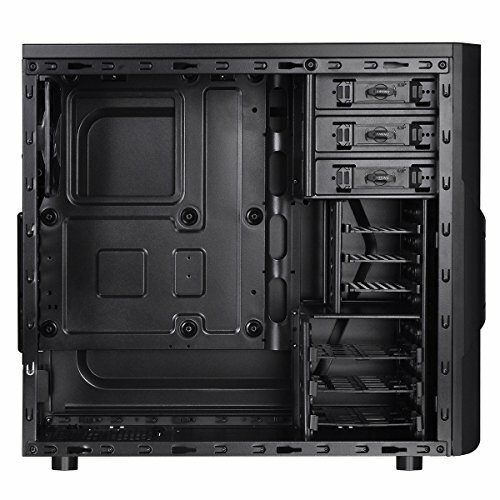 Case is not very sturdy andhdd cages cannot be removed for better airflow. It does feature some decent cable management and the cages are tool less though. Can't really complain with a case of this price. 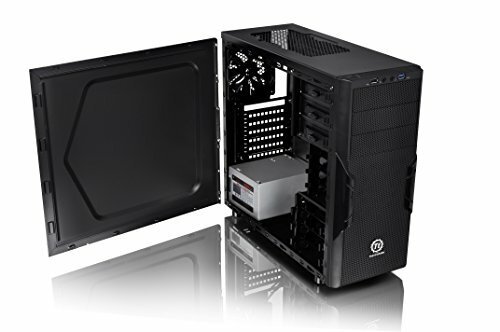 This case comes with a single 120mm fan in the rear for exhaust, but it barely moves any air. There is space behind the motherboard for cable management but not much, some connectors are pushing out on the side panel and it has to be forced on. The runs for CPU power at the top of the motherboard is extremely narrow and not a comfortable fit at all. The front has some sound dampening and a dust filter that can hold two 120mm fans. Like most of the case, the fans simply clip into place. Power supply has its own dust filter and is easy to remove but is a bit more difficult to get back in. 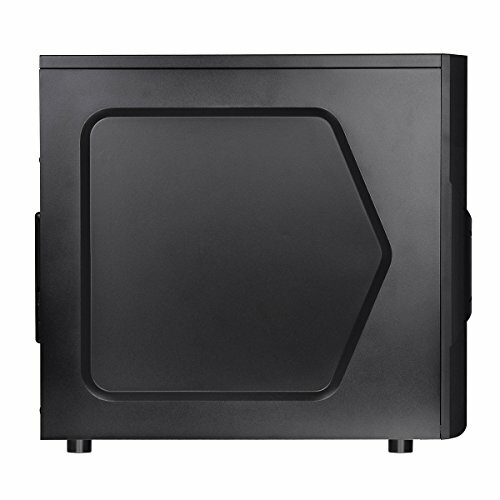 The top of the case comes with perforations for some reason but doesn't have mounting holes for fans or a radiator. After some drilling I was able to get some 120mm fans installed but not comfortably. They are fighting for space with the motherboard. Airflow near the bottom of the case is very poor, even with the power supply fan side up. Adding the front fans helped slightly but GPU temps still get much higher than I would like to see and there is a noticeable amount of heat buildup. Removing the side panel after a stress test lets you feel all the heat that the GPU is bathing in. Considering its price point there are definitely some other things that should have been done IMO. Got it used for 20 bucks. Spray painted it some too. hard to cable manage in it. Now this was a bit tougher than I thought it would be. Still 5 stars just make sure to install the aftermarket cooler back-plate before installing the motherboard all the way. 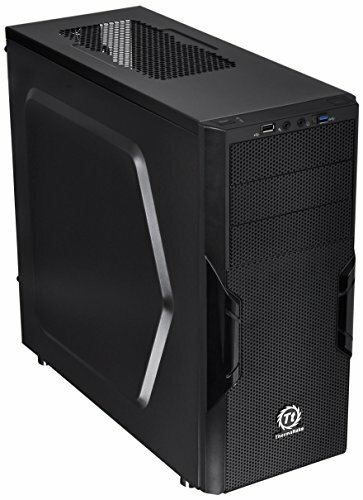 I bought this case for my budget build. Really good case for the price. Decent enough space for cable management. 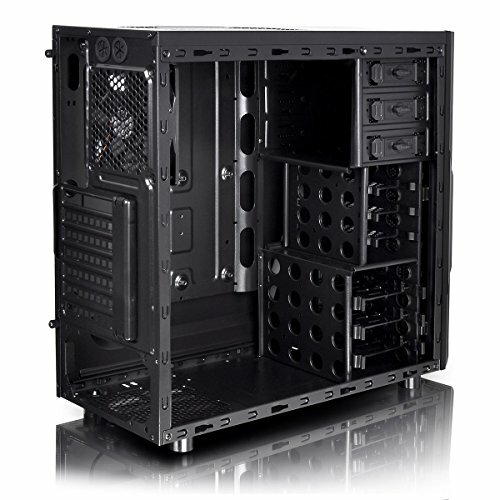 USB 3.0 and 2.0 port at the front 4 case fans included !!! User Manual was useless and had wrong info in some places. Had to figure out a lot on my own.